Being convicted of forcibly stealing property or threatening to steal from a person using a weapon is a felony offense. Even brandishing a weapon or pretending to carry a concealed gun or knife can result in lengthy jail sentence and other serious consequences. New York state and federal courts aggressively prosecute armed robbery and other cases involving weapons. Do not face your charges alone. 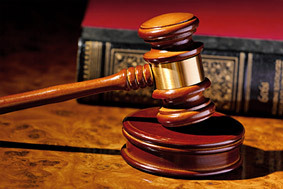 We provide the skilled and diligent representation you need to fight for your rights. As former high-ranking Kings County prosecutors, our criminal defense attorneys use their in-depth knowledge of applicable case law and decades of trial experience to overcome the prosecution’s case against you. In many armed robbery cases, several charges may be filed against you depending on what kind of gun or knife was alleged to be involved, as well as whether that weapon was displayed or used. We aggressively defend your rights and minimize the charges you face by thoroughly investigating the evidence against you. We examine police reports, witness statements, video surveillance and other evidence. When necessary, we call on expert witnesses to demonstrate the unreliability of the evidence recovered. As experienced trial lawyers, we know that police and eye witnesses can make mistakes. We are adept at cross-examining officers and witnesses to expose potential problems of mistaken identity or mistaken intent. A criminal conviction for armed robbery or other theft charges has the potential to permanently limit your prospects for the future. Hiring a skilled criminal defense attorney is essential to protecting your rights and freedom. 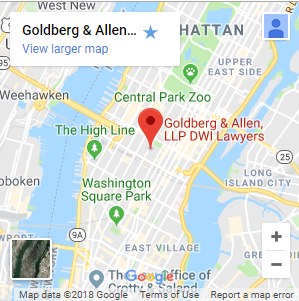 At Goldberg & Allen, we understand not only the consequences you face but also how to build an effective defense against them. We provide the assertive, detailed representation you need to defend your rights or the interests of a loved one. Contactour New York armed robbery attorneys to discuss your legal options in a free consultation today.